The Nova Scotia Department of Health established and funded the NSBSP as a provincial program in 1991. All ten provinces and two territories now have breast screening programs. Evidence from randomized controlled projects has demonstrated that organized breast screening mammography maximizes the early detection of breast cancer. NSBSP offers modified clinical breast examinations and breast health information at all sites. Currently there are fourteen screening sites and nine diagnostic sites booking procedures and contributing real-time data through the provincial Central Mammography Booking Database (CMB). Central Mammography Booking (CMB) in both screening and diagnostic mammography is present in all sites across Nova Scotia. CMB has decreased wait times in all diagnostic sites dramatically. To increase capacity and provide a standardized approach to breast imaging, the NSBSP, with the support of the Nova Scotia Department of Health, has completed rollout of Full Field Digital Mammography (FFDM) in both the screening and diagnostic sector. Presently twelve FFDM sites, fifteen units, are operational. The first FFDM mobile in Canada opened in Cape Breton (District 8) in July, 2007. This was followed by a fixed FFDM unit in the Cobequid Community Health Center (District 9) and a combined diagnostic and screening site at Yarmouth Regional Hospital (District 2). Included in the FFDM approach is the implementation of the diagnostic mammography reporting system throughout the province. 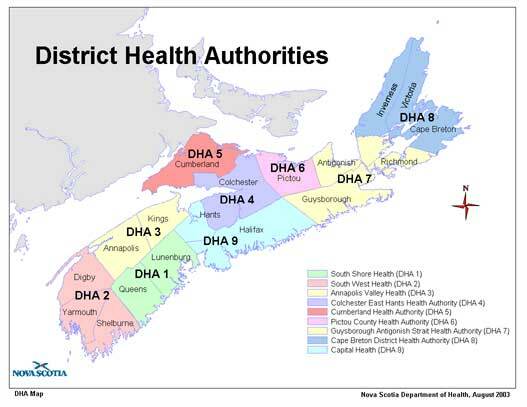 In the spring of 2008 five additional FFDM units were installed across the province: Two at the QEII, one at the Halifax Clinic, Halifax Shopping Centre, one at the Valley Regional Hospital and one in Sydney at CB Regional Hospital. In March of 2010 digital mammography units were installed in the remaining 5 fixed sites; South Shore Hospital in Bridgewater; Aberdeen Hospital in New Glasgow, St Martha's Hospital in Antigonish, Cumberland Regional Hospital in Amherst and Colchester Hospital in Truro. The existing three mobiles are being looked at and it is anticipated that the 1 FFD mobile unit will service the whole province ensuring equity in quality and service. One main goal of the NSBSP is to standardize the mammography process throughout the entire province. ``Lack of full organization may result in sub-optimal program operation, performance and resource efficiency.'' Progress in Cancer Control: Screening: Canadian Cancer Society/National Cancer Institute of Canada: Canadian Cancer Statistics 2006. The Nova Scotia Breast Screening Program's goal is to reduce the mortality from breast cancer in Nova Scotia women aged 50-69 years of age by 30% within ten years following development of a province wide screening program. As of 2008 there is now a provincewide program. All mammography in the province is being done under the umbrella of the NSBSP. The Nova Scotia Breast Screening Program's vision is to provide quality standardized mammography access with timely assessment, informed patient navigation and appropriate follow-up of women who have abnormal mammograms on screening, through diagnostic work-ups in accredited work-up centers, before consideration of surgical alternatives. To provide cost effective breast screening for Nova Scotian women aged 50-69 (who numbered approximately 125,000 in 2010). To develop standards, guidelines and policies to support a decentralized model of breast screening at multiple sites throughout Nova Scotia. To monitor and evaluate dissemination, uptake, application and outcome of standards and guidelines. To review the delivery of certain clinical services. To provide continuing education for professionals and general education to the public. The program enjoys close ties with all DHA coordinators and is well-networked into other provincial programs. The NSBSP adheres to all of the current provincial program mandates. Within the Acute and Tertiary Care Branch the following provincial programs are currently funded by the Department of Health: Cancer Care Nova Scotia, Nova Scotia Diabetes Care Program, Reproductive Care Program, Nova Scotia Breast Screening Program, Cardiovascular Health, Nova Scotia Provincial Blood Coordinating Program, the Nova Scotia Hearing and Speech Program and the Legacy of Life Program. The Acute and Tertiary Care Branch has developed an Accountability Framework for Provincial Programs to assist in determining whether a provincial program approach is the appropriate solution to address particular health care issues related to acute and tertiary care. In addition, this accountability frame-work will provide support for existing Provincial Programs where reporting relationships, roles and responsibilities are not clear. 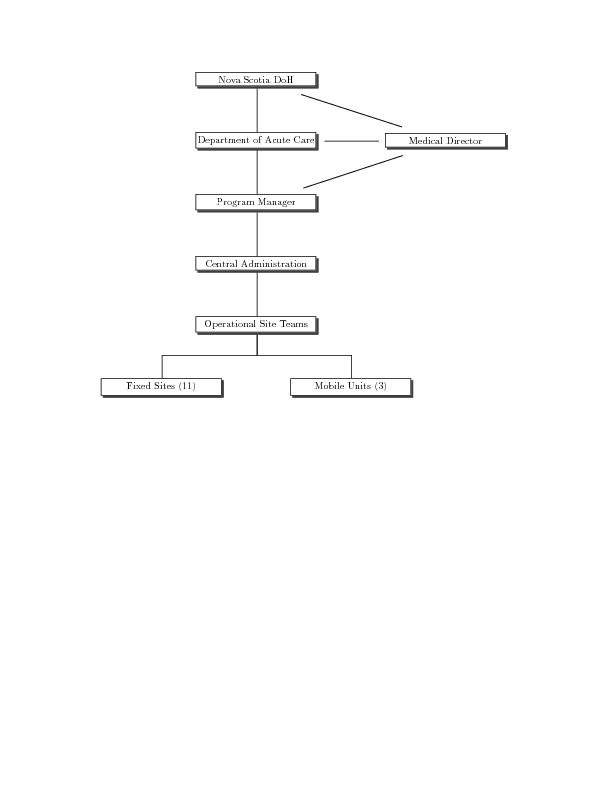 Provincial Program Model, Acute and Tertiary Care Branch Proposal, April 2, 2004. In 1993 it was recognized that women themselves were demanding mammography at age 40 and appropriate tracking mechanisms did not exist for these examinations. Until further meta-analyses are published on the subject, NSBSP (after consultation with the Department of Health) determined these women should be able to self-refer for screening mammography. Automatic recall on an annual basis for women 40-49 was instituted in 1995. Current evidence suggests screening the 40-49 age group is beneficial providing that quality assurance aspects of the program are in place and outcomes can be monitored. One study from Sweden compared the breast cancer mortality of women who were invited to screening at ages 40 to 49 years (study group) and women in the same age group who were not invited (control group). The results from this study, Effectiveness of population-based service screening with mammography for women ages 40 to 49 years: Evaluation of the Swedish Mammography Screening in Young Women (SCRY) cohort, were published in Cancer: n/a. doi: 10.1002/cncr.25650. This study took place between 1986 and 2005. Results of this comprehensive study showed that screening was an efficient resource in the reduction of breast cancer mortality for women ages 40 to 49 years old. Similar feasibility studies are also in progress in four other European countries. These trials recognize that if early detection of breast cancer is to be effective in younger women, the intervals between screen episodes must be shorter. Breast Cancer is an important health problem which has a recognizable latent or early non-symptomatic stage. The screening test must be efficacious (sensitivity and specificity) and acceptable, and diagnosis and treatment must be acceptable with facilities available. The cost must be balanced against medical care funding as a whole and should be ongoing. WHO 1968, Criteria for Screening Program. The Nova Scotia Breast Screening Program has been instrumental in encouraging high quality mammography through accreditation of staff and equipment by the Canadian Association of Radiologists (CAR). NSBSP has taken a lead to promote this process. It is one of many organized steps towards achieving and maintaining favorable program indicators. All mammography sites in Nova Scotia are currently accredited or in the process of accreditation. Re-accreditation is required every three years. Presently the CAR has increased the required number of screens from 480 to 1000 per radiologist. In 2005, it became policy in Nova Scotia that fees for mammography services would not be paid by the province unless CAR accreditation and a process for accreditation maintenance is in place. This policy was supported by the Nova Scotia Association of Radiologists, the Medical Society of Nova Scotia (Doctors, Nova Scotia), and the Department of Health. Nova Scotia was one of the provinces contributing data to the Pan Canadian Study by a working group of the Canadian Breast Cancer Screening Initiative. This study was to look at cancer detection rates and radiologist performance, in relation to volumes of mammograms interpreted. The results from this study, Organized Breast Screening Programs in Canada: Effect of Radiologist Reading Volumes on Outcomes, were published in Radiology: Volume 238: Number 3, (809- 815) - March, 2006. The working group concluded that cancer detection did not vary with reading volume. The average Positive Predictive Value (PPV) for individual radiologists improved as reading volume rose up to 2,000 mammograms per year; it stabilized at higher volumes. In North America required volumes are comparatively low, at 480 mammograms per year, compared with the 2,000 mammograms required in Australian screening programs and 5,000 mammograms required in United Kingdom Screening Programs Radiology: Volume 238: Number 3, (810) - March, 2006. The Nova Scotia Breast Screening Program utilized the 3,000 case reading volume as its guideline from the beginning of the program in 1991. Based on NSBSP outcome results and a British Columbia study Standardized Abnormal Interpretation and Cancer Detection Ratios to Assess Reading Volume and Reader Performance in a Breast Screening Program; Radiology 2000; 215: 563-567, NSBSP lowered the reading volume recommendation to 2,500 per year in the year 2000. Future recommendations for NSBSP policy change in this area will be based on further NSBSP analysis. Since the beginning of the program every tenth screening mammogram has been selected for a second interpretation by a different radiologist. These cases are computer selected and this process requires that these images be re-read following reporting sessions. Radiologist scheduling must be taken into consideration to avoid delays. Future reports will look at results. 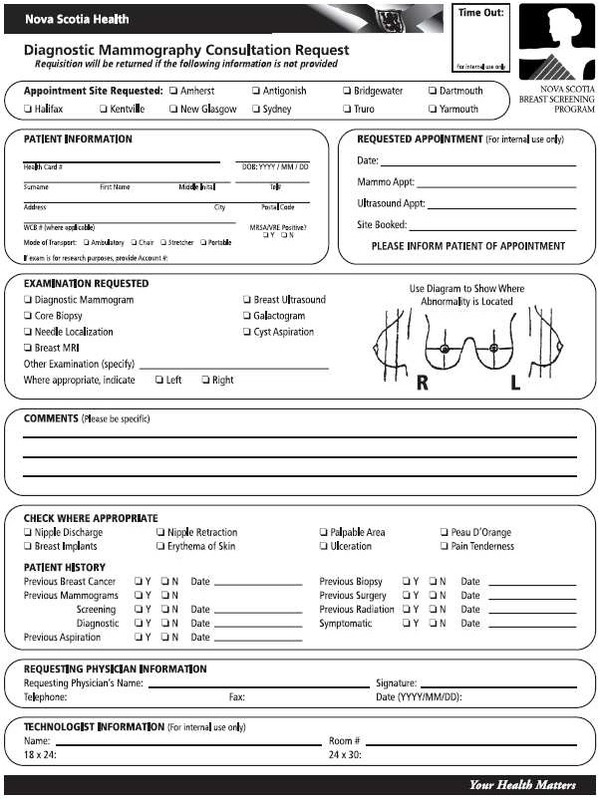 In addition to this formal approach, an unofficial double read system has been encouraged and may include peer review at a different hospital. Although this is work intensive for the entire NSBSP team, it has decreased work-up rates and is in the best interest of the clients. Each year radiologists associated with the program receive feedback containing their individual cancer detection rates and positive predictive values from the previous year. In this way the learning curve trends inherent to the interpretation of screening mammography are directly shared, and can be monitored by each screener for enhancement of results. A standardized NSBSP policy for modified Clinical Breast Examination teaching was implemented for program use in all sites. This was put in place after it became apparent that sites were applying the policy differently. The policy states that all women will receive a modified clinical breast exam by the technologist prior to their screening mammogram. This is not a thorough examination but enables computer entry of significant palpable abnormalities be made of obvious findings for the radiologist reporting the films. As the mandate for the Provincial Mammography Equipment Committee (PMEC) has been fullfilled this committee was replaced with an advisory committee in 2009. In the interest of promoting an integrated approach to breast screening, all District Health Authorities have implemented NSBSP's screening and provincial diagnostic computer booking program. NSBSP is now able to provide a comprehensive picture of screening mammography recruitment, participation and outcomes for women in Nova Scotia. Similar to advances for other diagnostic equipment, there is new and updated technology available for mammography. Considering new technology and the process of integrating all units plus the integration of Picture Archiving Communications Systems (PACS), in 2005 it was considered timely to conduct a provincial review of all mammography units with a goal of developing a provincial plan for the future. The Committee Members and Terms of Reference for this Provincial Review of Mammography Units is included in this document as A. The review process and plan decided in June 2005, was to upgrade all fixed and mobile mammography facilities to digital mammography with wideband networking to regional and central diagnostic centers. A provincial RFP was submitted for immediate purchase of equipment for Cape Breton and Yarmouth. This was the beginning of an organized long term approach (5-7 years) to introduce digital mammography to the province. This review process is now in the implementation stage. For purposes of uniformity and quality performance execution, one successful bid for all equipment was identified, and equipment purchases have begun. A provincial mammography equipment committee (PMEC) for implementation of FFDM has been established. Although a number of new technologies are on the horizon, they are unlikely to replace mammography in the near future for screening the general population. Mammography remains the only breast cancer screening tool proven to reduce mortality from breast cancer in the population. Public Health Agency of Canada, 2006. The most recent actual data for 2004 showed the breast cancer mortality rate in countries with ``organized'' breast screening programs to be at its lowest since 1950. Since 1993, incident rates for breast cancer have stabilized and death rates have declined at a rate of 2.7% annually. There is evidence for improved survival due to the organized mammography screening programs detecting cancer earlier and advances in adjuvant therapies following breast cancer surgery. 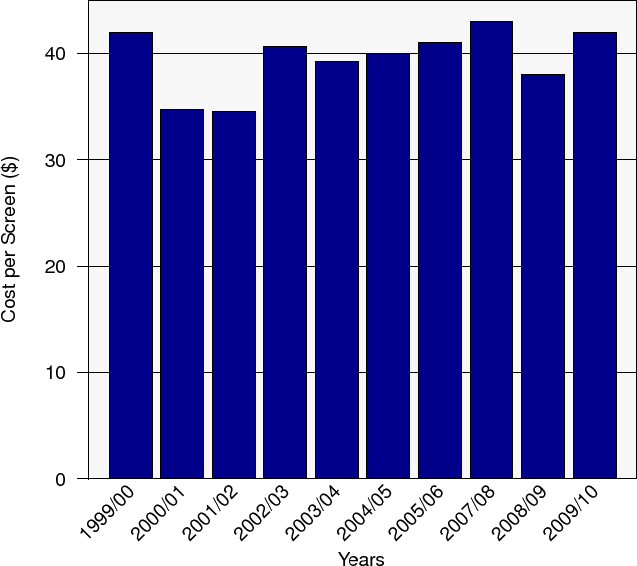 National Cancer Institute of Canada: Canadian Cancer Statistics 2006. Decreased mortality of breast cancer requires early detection of the disease as well as prompt and appropriate treatment. For 2010, it is reported that there will be an estimated 24,600 new cases of female breast cancer and 5,300 deaths in Canada. In Nova Scotia for 2010, it is estimated that there will be 740 new cases of breast cancer and 180 deaths. Breast cancer is the most common cancer and most common cause of death among females aged 20-49, accounting for 40% of cancer diagnoses and 25% of cancer deaths. Cancer Institute of Canada: Canadian Cancer Statistics, 2010. During their lifetimes, 1 in 9 women (11%) are expected to develop breast cancer, and 1 in 28 (3.6%) are expected to die from it. Only 28% of breast cancers are diagnosed at age 70 or older, 53% between ages 50 and 69 and 19% under age 50. Presently 1.0% of females are survivors of breast cancer diagnosed within the previous 15 years. Canadian Cancer Society/National Cancer Institute of Canada: Canadian Cancer Statistics, 2008/2010. For 2010 estimated age standardized incidence rates for breast cancer in Nova Scotia are 105/100,000 with an estimated 740 new cases. In 2006, actual data reported 710 new cases for an actual age-standardized incident rate of 107/100,000. Incidence is increasing due to the implementation of breast screening programs and greatly improved methods of data collection both of which NSBSP has as been active in developing and promoting. 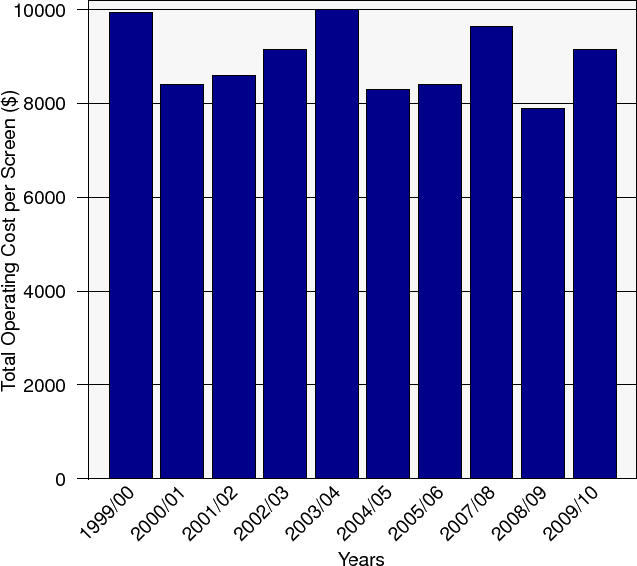 The estimated age standardized mortalityx rate for Nova Scotia for 2010 is now the fourth highest in Canada at 23/100,000 based on 180 estimated deaths. Actual data for the age standardized mortality rate for breast cancer in Nova Scotia for the year 2005 was 21/100,000, a decrease from the actual rate of 25/100,000 in 2002. There were 148 deaths recorded in Nova Scotia in 2005. In Canada in 2003 there were 95,300 Potential Years of Life Lost (PYLL) due to breast cancer (18.3% of all causes of PYLL) compared to 94,200 in 2002. With regard for the most common cancers in women and men, the PYLL from breast cancer far exceeded the PYLL from prostate cancer (33,400) reflecting the relatively young age that women die from breast cancer. 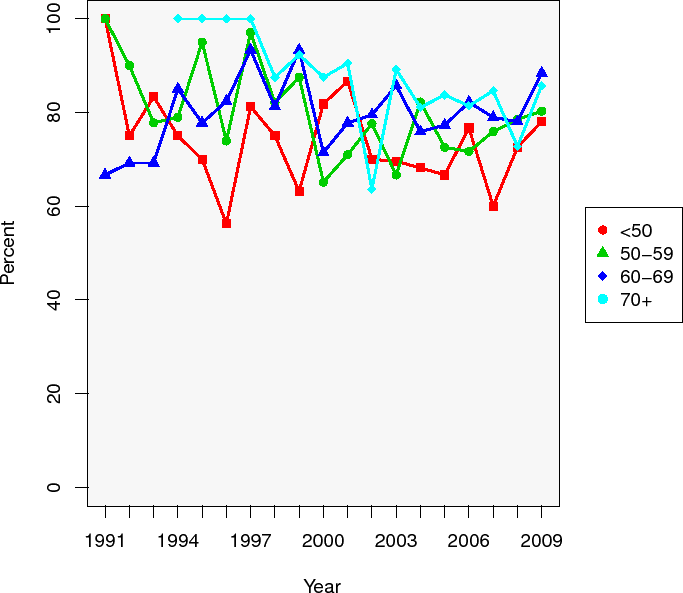 Canadian Cancer Statistics 2007. The five year relative survival ratio for breast cancer cases diagnosed 2001 to 2003 in Canada was 87%x (85% in Nova Scotia). 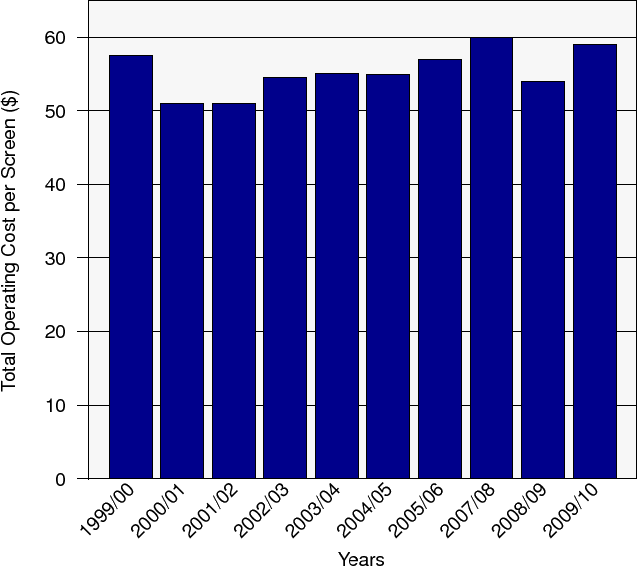 Cancer Institute of Canada: Canadian Cancer Statistics 2007. On average, fourteen Nova Scotia women will be diagnosed with breast cancer every week. On average, four Nova Scotia women will die of breast cancer every week. 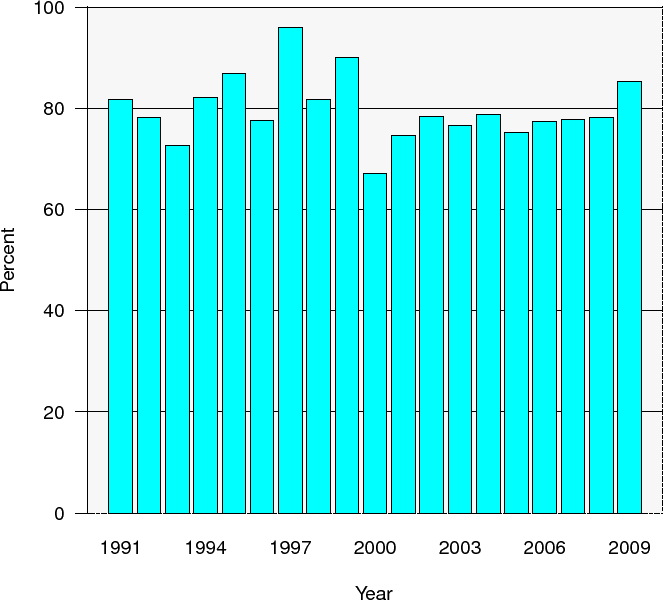 Canadian Cancer Statistics 2005. Includes self referred bookings for asymptomatic women ages 40 to 69 and over age 70 (if otherwise in good health). The Canadian Association of Radiologist's Guidelines for Screening Mammography. An improved diagnostic database which has been designed to complement the NSBSP database and to provide one provincially standardized diagnostic mammography reporting module with upgraded services. Presently it is in use at the Queen Elizabeth II Health Sciences Center (QEII HSC) in Halifax, Cape Breton Regional Hospital (CBRH) in Sydney, Dartmouth General Hospital (DGN) in Dartmouth, South Shore Regional Hospital in Bridgewater, Aberdeen Hospital in New Glasgow, Yarmouth Regional Hospital in Yarmouth and Cumberland Hospital in Amherst. The remaining 3 sites, Valley Regional Hospital, St Martha's Hospital and Colchester Hospital have decided to wait for completion of interfaces before reporting in DRS. Modifications to the Diagnostic Reporting System are ongoing. The NSBSP Guidelines for booking both screening and diagnostic mammography are included as Appendix B. A draft copy of the new diagnostic mammography requisition which must be correctly filled out and faxed to CMB by the referring physician (office), is included as Appendix C.
If resources are allocated for data collection and outcome analysis, it will promote the best possible quality initiatives, staff performance and results at all levels. Timely annual report production has been a significant NSBSP accomplishment, made possible by aggressive NSBSP database development. This has resulted in a yearly effort to close the books on cases, and has also provided organized safe-guards for women to prevent cases from falling through cracks in the healthcare system. Cumulative, annual and biennial figures and charts are contained in this report. Target age group (50-69) numbers are used when calculating Program Indicators, but other charts and figures include women outside the NSBSP targeted age group. The NSBSP database also ensures that every tenth mammogram has been blind read by a second radiologist. In 2009, 5 women were classified as ``Lost to follow-up'', and 7 women with abnormal screening reports refused one or more recommended follow-up procedures, resulting in a status of ``Refused''. From the beginning of the program in 1991, there have been 62 women ``Lost to Follow-up'' and 57 have ``Refused'' recommended work-up procedures. These women are therefore classified as non-compliant and are categorized appropriately for the particular screening episode. These cases have been reviewed at NSBSP team approach rounds and many have since undergone subsequent re-screening or diagnostic mammography. Quality is the key word for successful breast cancer screening. Without a reliable database, the organization is extremely difficult. Providers of screening have a responsibility to insist that the program be well organized. If done properly, the cost-benefit analysis will reveal a reasonable cost per screen and cost per cancer detected. As part of continuing medical education collaboration, Dalhousie University in Halifax, the Canadian Cancer Society and NSBSP organized ``The 1 in 9 Workshop'' for second year medical students. This was put in place in 1997 using resources from the breast screening program and Department of Family Medicine at the university. This is a four hour intensive information session focusing on breast screening processes, clinical breast examination, breast cancer and the emotional impact of breast cancer following detection. The lectures and small group workshops present a powerful overview of this disease and it has continued as an annual event. It is a most useful tool for community education and promotion of NSBSP to health care professionals. The Nova Scotia Breast Screening website, accessible at www.breastscreening.ns.ca, contains a wealth of information for the general public including background information on the program, program guidelines, various quality initiatives, and information on the screening sites that are part of the program including contact information. Also included on the site are links to the mobile van schedules (always kept current), a virtual tour of the new digital mobile unit, and various statistics including Nova Scotia Annual Statistics, NSBSP Annual Reports, and Public Health Agency of Canada Biennial Reports. A routine biennial report is produced at the national level using data from the Canadian Breast Cancer Screening Database (CBCSD). Although there are many differences in the manner in which the provinces have set up their individual programs, this monitoring role provides useful feedback and comparisons, as well as a mechanism to share processes and provide definitions. The targets set have provided goals and formats for the ten differently structured provincial breast screening programs in the interest of producing more standardized provincial data reports. In 2006, the Evaluation Indicators Working Group, a sub-committee of the Canadian Breast Cancer Screening Initiative published the document ``Guidelines for Monitoring Breast Screening Program Performance'', second edition. A list of eleven performance indicators and definitions can be seen in Section 9.1. The NSBSP Performance Indicators for 2006, 2007, 2008 and 2009 plus the Canadian Breast Screening Database Indicators, most recently available for the combined years of 2003 and 2004 can be seen in Table 9.1. All Program Indicators are for the target age group (50-69). More information on each indicator can be found on the specified pages. Additional imaging and interventional indicators are being looked at by some provinces as an overall client-based service delivery measure and program quality exercise. ``Future methods should be directed toward developing new screening methods as well as methods of improving the sensitivity and specificity of mammography. Methods of reducing surgical biopsy rates and complications of treatment should also be studied, as should communication of the risks and benefits associated with screening.'' Ann Intern Med, 2002; 137:347-360. 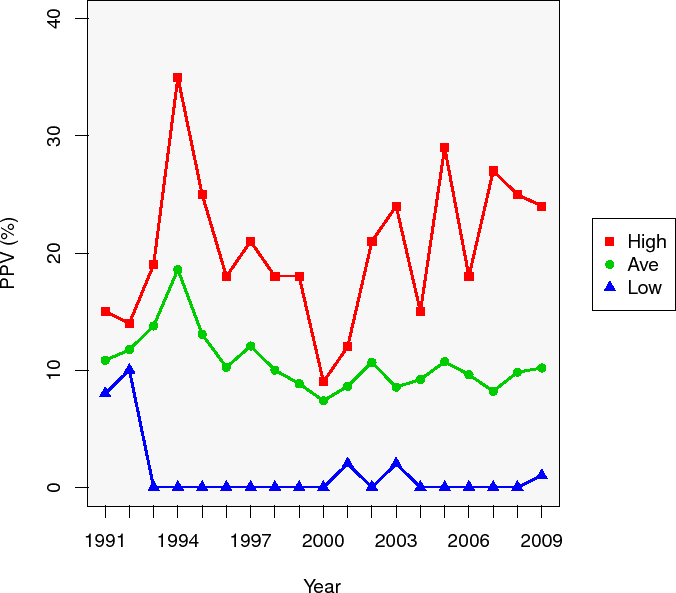 For Nova Scotia this figure also includes node negative cases of Dcis. Although rare, surgical pathology reports of Dcis can have positive node pathology. Table 9.1 presents both the national provincial performance indicators. The NSBSP participation rate for the biennial timeframe of 2008 and 2009 was 57.6% of the targeted age population in Nova Scotia. Over one year there was a biennial participation rate change of 0.05%, with an actual change of 4% in women screened. 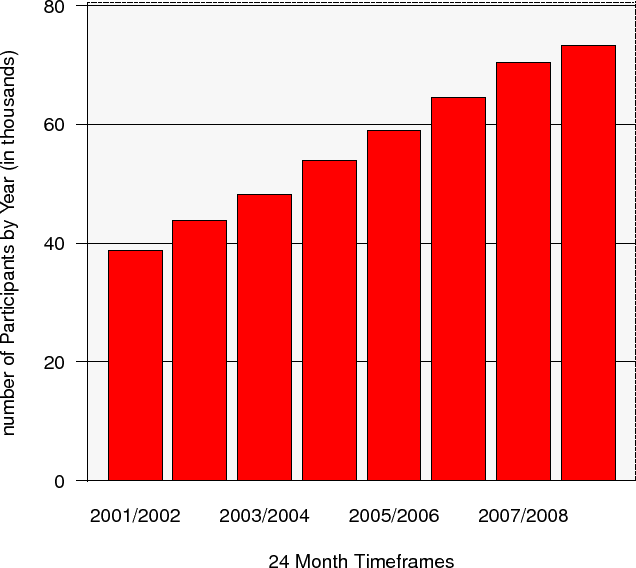 For the same time-frame the number of screens increased by 3.9%, compared to a 8.4% increase one year ago. The actual number of women screen has increased from 70414 to 73278 in the past year. The low participation rate of 49.74%, seen in DHA 7 (Guysborough/Antigonish) reflects the lack of database information from this site which began booking mammography through Central Booking and submitting data to the province in October 2008. 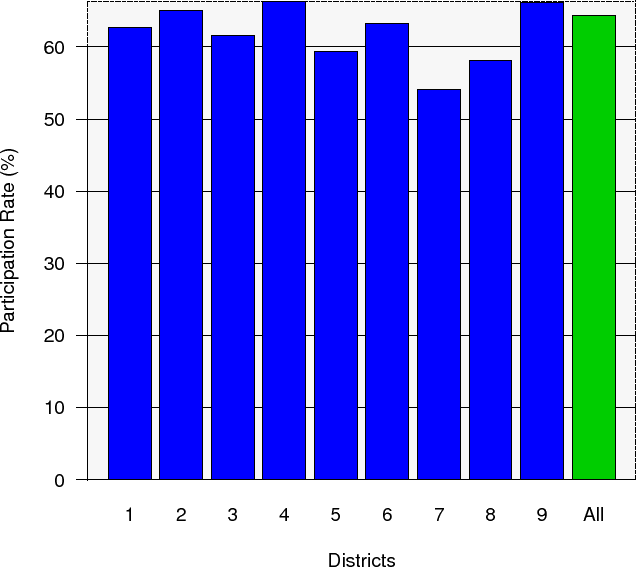 This is not an accurate representation of the breast screening participation rate in this district. 1 New census data released in 2009 places the total target population of women aged 50-69 at 127220 up from the previous value of 122353. 2 Funding by the Canadian Breast Cancer Foundation - Atlantic Chapter has enabled a retrospective study of Post Screen Cancer rates. The most frequent ``self-reported'' reason for participation in NSBSP continues to come from recommendations for regular mammography screening by family physicians. This strongly supports the Program's decision to focus promotional funding on increasing physician awareness of early detection by mammography screening and the associated cost benefit. Of interest as well, is the fact that the most common reason for Gynecological Screening is due to reminders by NSBSP, at the time of breast screening examinations. In 2008, 10.2% of women screened were over age 69. This decreased to 9.1% in 2009. In 1997, 4% of NSBSP's clientele were over the age of 69. Following policy change in 1998 to accept these women into the program (but not send them reminder letters) these figures have been watched carefully for the resulting affect on program capacity, as it increasingly affects available bookings for the target age group of 50-69. However, many in this group had started with the program when in the target age group and if still asymptomatic, should not need to have examinations in and tie up the diagnostic system. After age 70, screening mammography is recommended if a women's life expectancy is anticipated to be ten years. In the initial six months of the program the policy to not accept the 40-49s was clearly not enforced and 20% of women attending were in this age group. However, physicians and women in their 40s lobbied strongly in an effort for them to officially become part of the program. Following a relatively high cancer detection rate and a high number of node positive cases seen in this group in 1992, it was decided to change policy and accept these women in order to provide organized outcomes for this younger group for whom surveillance and monitoring should also occur. If this had not been done, they also would have continued to have screening mammography in the diagnostic mode, resulting in unnecessary appointments in the diagnostic sector and no tracking of outcomes. In 1995, it officially became policy to send recall letters to these younger women using the annual screen protocol. In 2009, 33.4% of NSBSP participants were aged 40-49. The commitment of the Nova Scotia Department of Health to the Nova Scotia Breast Screening Program has resulted in linear increases in participation rates. Support given by the Department of Health toward provision of a truly comprehensive, provincial mammography program continues to be apparent. 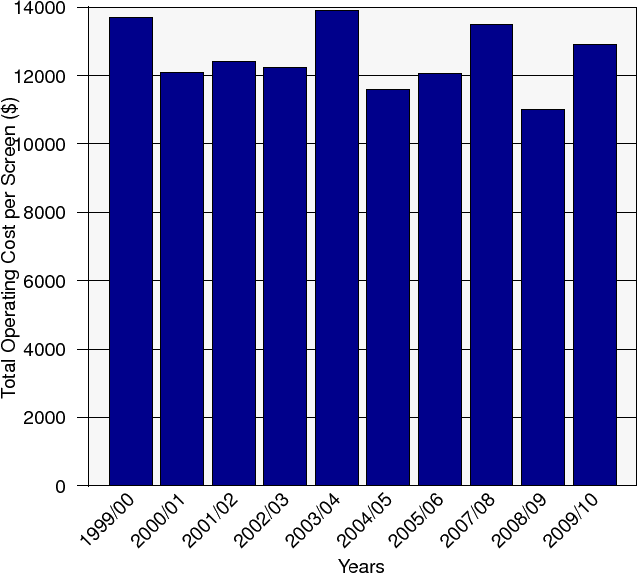 Increases in 2004/2005 mainly represent the addition of the screening program from Bridgewater and additional NSBSP screening appointments from the fixed site at the Yarmouth Regional Hospital. For the two year period of 2008and 2009, there were 73278 (Table 9.3) screening mammograms performed by NSBSP on women in the target age group. The inclusion of Valley Regional Hospital in Kentville 2006, Aberdeen Hospital in New Glasgow in 2007 and Cobequid Community Health Centre later that year account for the increase in participation rates those years. Table 9.4 contains in addition to data in Table 9.3, diagnostic data from facilities now booking diagnostic mammography using the Central Mammography Booking Database. The data presented in Table 9.4 shows 81776 women having at least one bilateral mammogram in a two year period at either a screening or diagnostic site. The resulting mammography participation rate is 64.28% a change of 0% over 2008. Italicized numbers in column three, indicate numbers of women by DHA having had a bilateral diagnostic examination outside their home district but at a facility booking and reporting through CMB, and who have not already had a screening mammogram in the same year. The majority of Nova Scotia hospitals are effectively channeling appropriate screening cases to the program mode and six have implemented the provincial diagnostic reporting system. Mammography performed in diagnostic centers must be ordered by faxed requisition. ``Diagnostic'' bookings comprise symptomatic cases, abnormal screen work-ups, women with previous breast cancer, and short term follow-up cases following core biopsy, surgery or previous mammography. See Appendices B and C.
Table 9.5 has in addition to data in Table 9.3 the cancer detection rate of surgically removed cancers by district. It is important to remember that the cancer rates in Table 9.5 do not reflect the overall provincial cancer detection rates. These figures include only findings from the Nova Scotia Breast Screening Program database and represent approximately one third of the annual cancer detections in this province. Table 9.6 is similar to Table 9.4 except for the addition of the ages 40 to 49. This age group (recalled on an annual basis, although not actively recruited) is accepted by NSBSP for purposes of data collection and other benefits available only through the organized program. In Table 9.6 it can be seen the provincial screening plus diagnostic participation rate when including the 40-49 age group for 2009 is 62.1% (61.27% one year ago). Analysis of data on women under age 50 is now possible when reporting is done through the provincial diagnostic database. NSBSP Retention rates for this report are calculated on the number of eligible women that have returned to the program for a subsequent screen within 30 months of their previous screen if aged 50-69 and 18 months for ages 40-49. Women over the age of 69 are not included in this calculation as they are accepted into the program but are not sent reminders. Optimal benefits of screening are brought about by regular participation in the screening program (at least every 2 years). At present there is no indication that the benefits of screening are lost if rescreening occurs up to 6 months after the recommendation interval. "Guidelines for monitoring Breast Screening Performance" Second Edition Aug 2007 page 8. 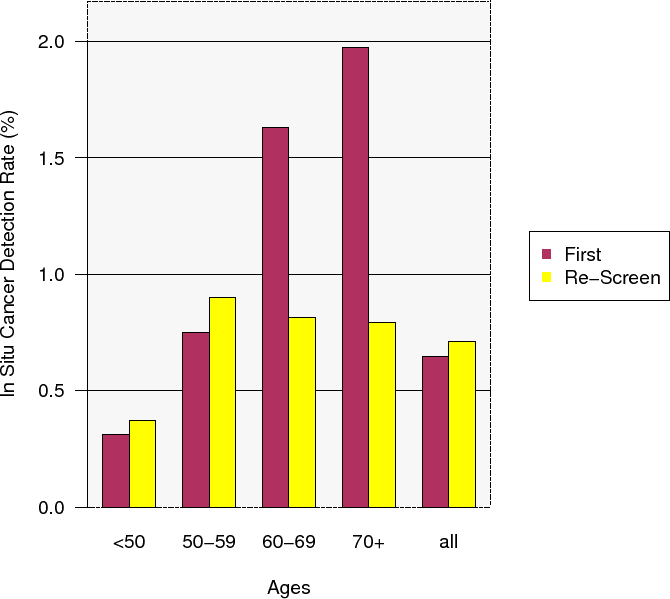 In 2009, 2200 screens in the target age group were reported as abnormal (Table 9.7). Abnormal reporting rates were 5.1% overall (11.5% for 1 screens and 4.4% for re-screens). An additional 39 cases (Table 9.8) were reported based on clinical findings categorized as Physical Findings Not Seen or ``PFNS''. This compares 38 a year ago and 35 in 2007. Group 5 chooses not to use the PFNS option as an interpretation result. Generally however, the ``PFNS'' reporting selection is being used, but the number of reports is minimal and not always significant enough to reflect as a percentage in Figure 9.4. There were 10246 women having 11426 core biopsies (by screen exam date) through NSBSP from 1991 until 2009 (1067 women had more than one core biopsy at different times or bilaterally). Of the 1316 core biopsies performed in 2009, 193 were indicated as being done using ultrasound guidance for positioning of the needle. The core biopsy program also collects core biopsy data by core biopsy date for separate studies unrelated to NSBSP annual outcomes. Additional core biopsy outcome data is shown in Table 9.11. Tables 9.12 and 9.13 are included for use at the district level to provide a baseline for each District Health Authority and perhaps assist in reform at the district level. They include Nova Scotia Breast Screening database results only. Of importance are trends that possibly could become indicators for each district and assist in utilizing resources. NSBSP considers numbers and types of assessment tests to be helpful and relevant information for both provincial and district feedback. It is particularly useful for analyzing how health service providers apply the Clinical Practice Guidelines. These outcomes may be important at the provincial level to assist in providing continuous quality improvements to all services in place in both screening and diagnostic sites. It is hoped that this data may eventually be utilized to benefit women undergoing these procedures. There were 283 cases of invasive breast cancer detected in 2009. Shown in ten year age groups above, 183, (65)% of these were in the 50-69 age group for a cancer detection rate overall of 3.8 per 1,000 screens. Nova Scotia is lower than national targets of more than 5 per 1,000 (4.6) for first screens and higher than the 3 per 1,000 for re-screens (4.2). It may well be that with the screening program now in place, the invasive cancer rates will continue to fall as more high risk lesions are picked up in the screened population at a pre-cancerous or early stage (DCIS and atypical). 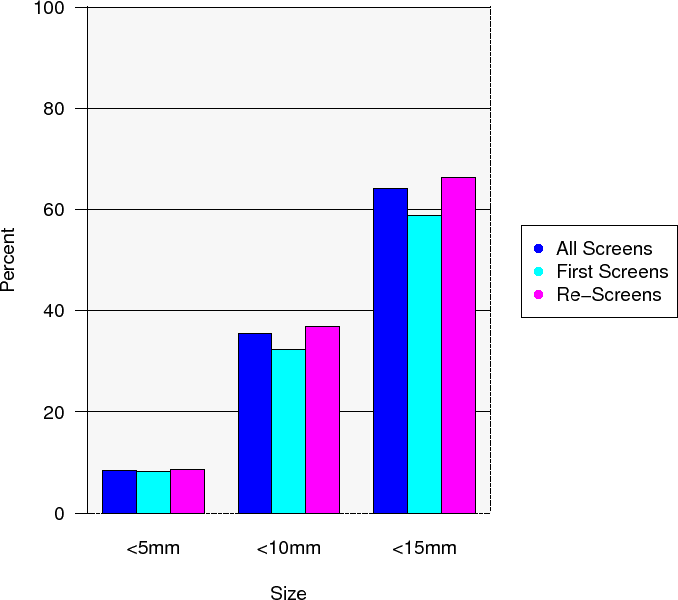 The rate of invasive breast cancer increases by age group for both initial screens and re-screens. Also, many of the first time program screens have had previous mammograms in the diagnostic sector. There were 53 cases of In Situ cancer detected in 2009. Of these, 38, (72%) were aged 50-69. The overall in situ cancer detection rate for this age group was 0.7 per 1,000 screens similar to the 1% rate at the national level. The Performance Indicator's Working Group felt it inappropriate to set targets for DCIS due to lack of evidence of the transition of DCIS to invasive cancer and increasing sensitivities of screening techniques. In 2009, there were 4 cases of LCIS, 2 of which were between 50 and 69. 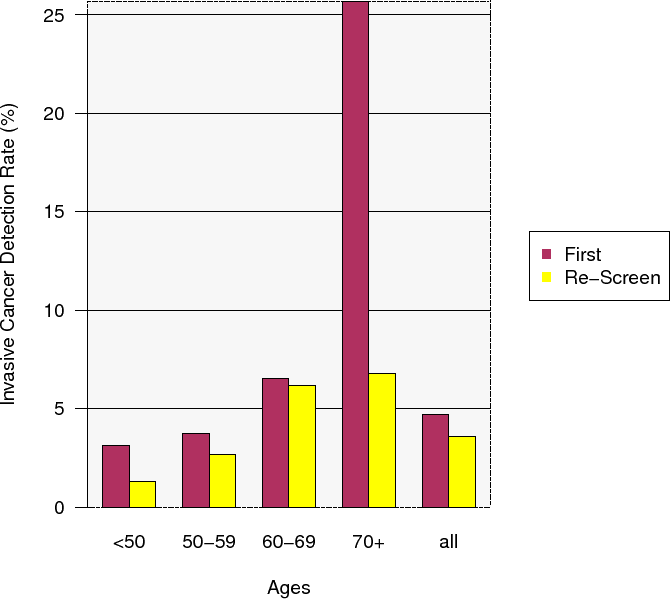 In 2009, the NSBSP overall (i.e, for all age-groups) ``Diagnostic Interval'' shows 67.5% of abnormal screens having had no tissue biopsy, are at case completion after five weeks from screening. This is lower than the 74.3% overall nationally in 2003 and 2004. (Table 9.1). Figures 9.8 and 9.7 demonstrate the diagnostic interval from abnormal screen to diagnosis with and without biopsy. Numbers of surgeries for which results were based are in Table 9.12 and are for screening cases only. 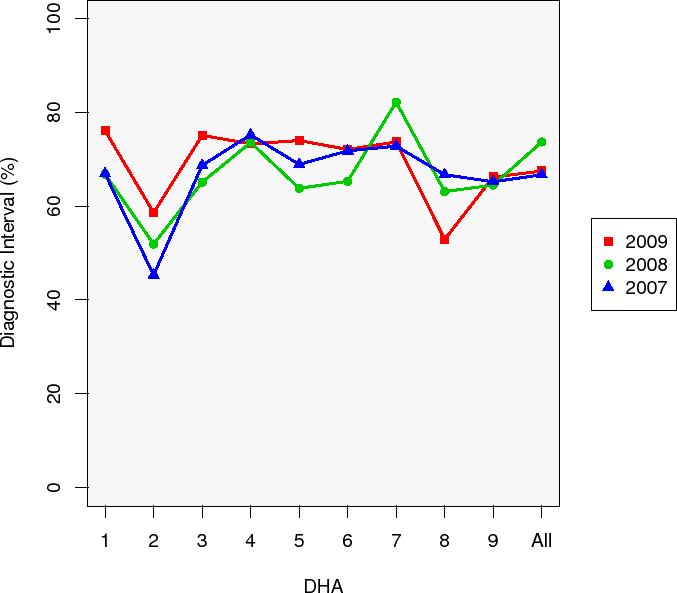 Figure 9.9 demonstrates for the target age group, the individual highest and lowest as well as the average PPV for the indicated years. A downward trend of performance can be seen especially after 1994 and 2003 as new sites joined the program. As expected, PPV's are lower for the age 40-49 group where breast density is at times greater and can decrease the sensitivity of early detection (Figure 9.10). One international publication has stated that Positive Predictive Values (PPVs) for initial mammograms were as high as 37.5% in the Netherlands where corresponding recall was 1.4%, and as low as 5% in the United States where the corresponding recall was 15%. Cancer detection rates did not closely follow the pattern of recall rates. These differences may be influenced by factors including prevalence of cancer in the screening population, radiologist training, quality of the mammograms and fear of malpractice and legal outcomes. Report from the International Breast Cancer Screening Network (IBSN), Draft Paper 24 September 2003. Since the beginning of the program, all participating radiologists have received a letter detailing their individual PPV, abnormal rate and cancer detection rate for both first and subsequent screens. Specialist radiologists detect more cancers, more early stage cancers, recommend more biopsies, and have lower recall rates than general radiologists. Performance Parameters for Screening and Diagnostic Mammography: Specialists and General Radiologists; Edward A Sickles MD, Dulcy E. Wolverton MD, and Katherine E Dee MD; RSNA, 2002. Figure 9.11 and table 9.14 demonstrate the 2009 benign to malignant surgical ratios 1 : 9.2 (or 0.1 : 1) for women aged 50-69, indicating that overall for every one benign surgical outcome, there were 9.2 malignant outcomes. This indicator has the potential to be more significant in the future as all diagnostic facilities join with Central Mammography Booking. The important outcome is to find the greatest number of small cancers with minimum work-up, decreased wait times and decreased number of surgeries. The relationship between the number of benign surgical outcomes and number of malignant surgical outcomes not having had a core biopsy as part of their work-up remains similar from the beginning of the program. 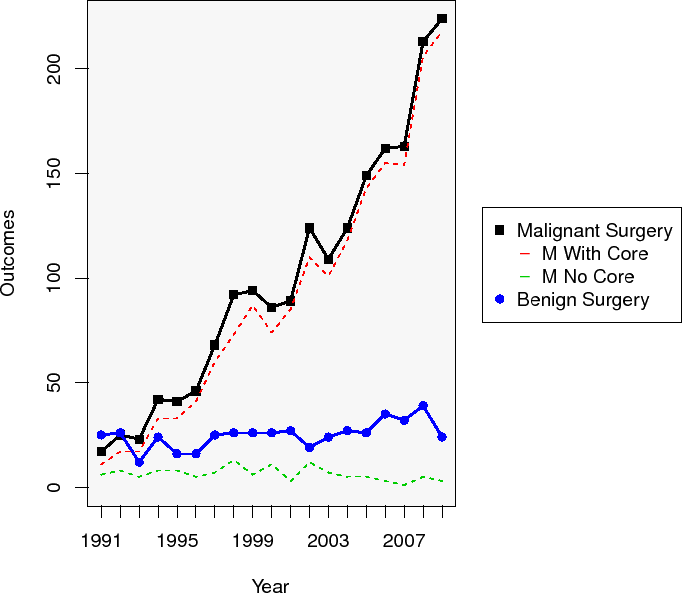 It is also apparent in figure 9.12 that the number of malignant surgical outcomes has increased substantially over the years as the program has grown. It can be seen that the number of cancers subsequently detected after having a core biopsy, remains in proportion to total number of cancers detected from open surgical outcomes. 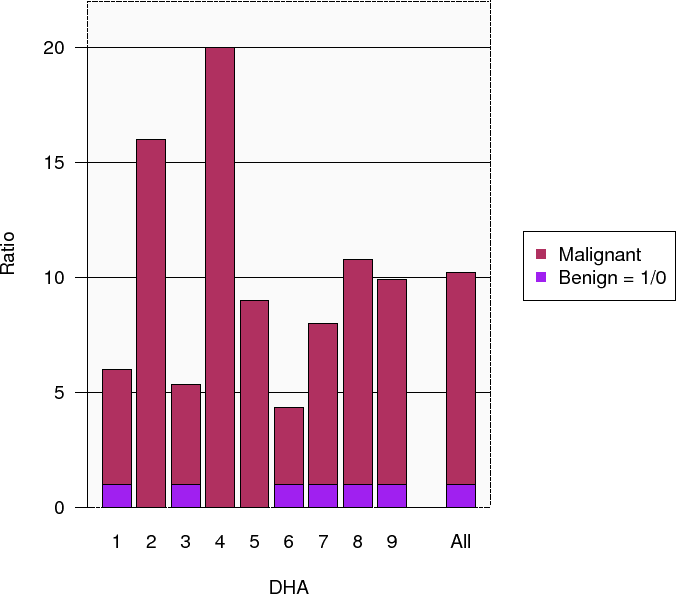 One benign or malignant surgical outcome per woman is used in Figure 9.12 indicating that benign : malignant outcome ratios of surgery have improved greatly since the start of the program. The number of core biopsies has increased, particularly as new sites joined the organized screening program in 1994, 1997, 2002 and 2005. Of 2877 cancers of all ages detected from the start of the program, 2277 (79.1%) were invasive and of these, 8.5% were less than or equal to 5mm, 35.5% were 10mm or less and 64.1% were 15 mm or less (Figure 9.13). Of all invasive cancers in the target age group, 74% were stage 1 or better. During this time 630 cases of DCIS and 22 cases of LCIS were also detected. Over 99.5% of tumor sizes were obtained from pathology reports, with film measurements needed only in cases where it was not specified in the pathology reports. In 2009, in the target age group, 221 cancers were detected. Of these, 183 (83% were invasive and of these, (6.1%) were 5mm or less, 33.3% were 10mm or less and 67.2% were 15mm or less (Figure 9.14. 62% were stage 1 or better. During this time, 64 cases of DCIS were detected and there were 4 cases diagnosed as LCIS. Since the beginning of the program 81% of all invasive cancers in the target age group were node negative (see figures 9.15 and 9.16). In addition there have been 86 cases of DCIS with nodal excisions (84 with negative nodes and 2 with positive nodes). In 2009, there were 183 invasive cancers in the target age group of which 179 (98%) had lymph nodes excised. Of these 82% were node negative. In all age groups there were 284 lymph node dissections and of these, 15%, 25%, 41% and 18% were in the 40-49, 50-59, 60-69 and 70+ age groups respectively. From a simple flat file database available in 1991, a complete rewrite upgraded the NSBSP system to a user friendly and user developed relational database completed in 1997. A second rewrite began in 2002 and when completed in June 2004 resulted in standardized data entry procedures and outcomes for both screening and diagnostic mammography from one database. The diagnostic reporting system (DRS) is currently being used in Halifax, Cape Breton, Dartmouth General, Bridgewater, New Glasgow, Yarmouth and Amherst. Kentville, Truro and Antigonish are waiting for completion of the interface between DRS and the hospital information system before reporting in DRS. Until this occurs patients in those 3 districts cannot be followed up and tracked in the database by Central Mammography Booking as is the practice in all other districts. An interface is currently being developed with Meditech and Quadris and Star to enable all mammography results to reside in PACS. This has significant implications when a patient is required to move from one facility to another for follow-up treatment. A project designed to book all mammography appointments, both screening and diagnostic through one call center was completed and implemented in December 2000. Prior to this, it was only the first two mobile vans that utilized the booking center. Funding for computer interfaces and programming for this project was obtained through the federal government's Infostructure Support Program and the Canadian Breast Cancer Foundation - Atlantic Chapter. Initially the project enforced standard booking guidelines and booked appointments for two NSBSP vans, one NSBSP fixed site and one diagnostic center. Currently all breast imaging, screening and diagnostic, in the province is booked through Cental Booking. Starting dates for diagnostic centers joining with CMB are seen in Table 4.1. All guidelines are strickly followed to ensure asymptomatic women that fit the criteria for screening are booked as such. Core biopsies and all breast ultrasounds, with the exception of District 1, are also being booked through Central Booking. A breast MRI reporting module has been developed with funding from the Public Health Agency of Canada (PHAC). All breast MRI is being centrally booked and reported in the database. This process ensures that breast MRI is being utilized appropriately, guidelines developed by the Department of Health in 2008 are being followed and recommendations are being tracked in the database and followed up in a timely manner. There is a considerable body of evidence that an abnormal breast cancer screening precipitates acute anxiety especially upon receipt of notification of the abnormal screen. Anxiety may persist for several months after resolution of the screening episode, even after the woman has been informed that she does not have cancer. Waiting for a Diagnosis after an Abnormal Screen in Canada: Minister of Public Works and Government Services Canada, 2000. With a goal of enabling NSBSP to process the bookings for provincial diagnostic mammography departments and to assist in channeling the flow of asymptomatic women to the screening program, CMB has successfully decreased waiting times at the diagnostic sites. With appropriate integration of diagnostic and screening mammography programs through one Centralized Mammography Booking system, short wait times for diagnostics can be maintained. Urgent situation can be addressed within a few days at all sites. Under auspices of NSBSP a core biopsy program was started to coincide with the program start in June 1991. Database development has permitted tracking these examinations. Since the beginning of the program in June 1991 until December 2009, a total of 10523 stereotactic core biopsies and a reported 903 ultrasound guided core biopsies have been performed on 10246 women. Results may be seen in Tables 9.10 and 9.11.
documentation of a missed lesion by ultrasound is difficult but clearly present with the NSBSP stereotactic needle core biopsy approach Nova Scotia Breast Screening Program Experience: Use of Needle Core Biopsy in the Diagnosis of Screening Detected Abnormalities, Radiology 1996. For this reason, a negative ultrasound guided core biopsy is not as acceptable to many clinicians and the patient usually must go on to have surgery regardless of negative results. ``Core biopsy is a superior method for the evaluation of non-palpable lesions due to increased diagnostic specificity and reduced rate of inadequate samples.'' Brenner RJ, Bassett LW, Fajardo LL, Dershaw DD, Evans WP III, Hunt R, et al. Stereotactic core needle biopsy: a multi- institutional prospective trial. Radiology 2001: 218: 866-72. In reports comparing stereotactic core biopsy to surgical biopsy, the sensitivity of core biopsy for diagnosis of malignant lesions varies from 85% to 98%. However in a multi-institutional study in which the results of 1,363 image directed core biopsies were compared with the results of subsequent surgical biopsies there was 98% agreement and only 1.1% false-negative core biopsy outcome (level III evidence). Parker SH, Burbank F, Jackman RJ, Aucreman CJ, Cardenosa G, Cink TM, et al. Percutaneous large-core breast biopsy: a multi-institutional study. Radiology 1994; 193: 359-64. 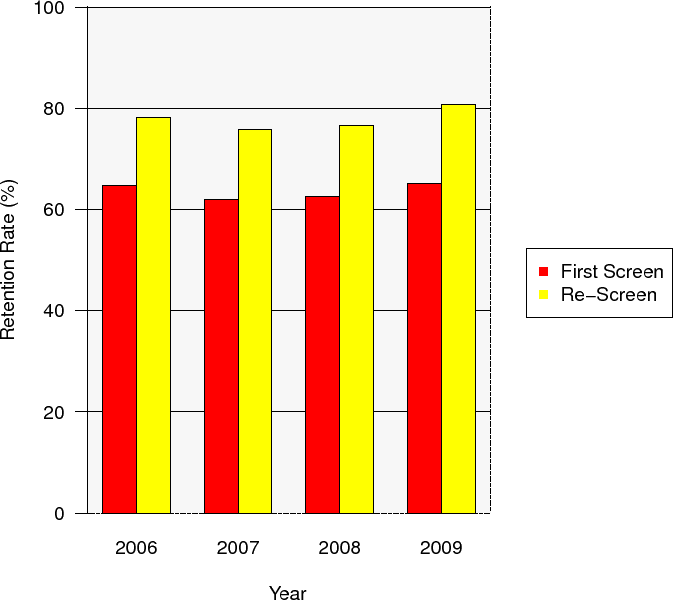 False negative core biopsy outcome from the Nova Scotia Breast Screening Program from 1991 to 2009 is also 1.1%. Over the first 19 years of the program there have been 23 malignant core biopsies for which the corresponding surgical outcomes were benign, resulting in a false positive rate of 0.2%. The false-positive core biopsy outcome per woman is 0.2%. Atypical/suspicious and benign open surgical results are included when calculating the false positive rate. For both stereotactic and ultrasound core biopsy to be successful there needs to be a validation process and team management. Cancer has a significant economic impact in Canada as measured by direct and indirect costs. Direct costs refer to the value of goods and services for which payment was made and resources used in treatment, care and rehabilitation directly related to illness or injury. Indirect costs are defined as the value of economic output lost because of illness, injury-related work disability or premature death (National Cancer Institute of Canada: Canadian Cancer Statistics 2004). In 1998, in Canada, $2.5 billion were direct costs with hospital care costing $1.8 billion and representing 74% of this amount. Physician services to treat cancer cost $333 million, or 14% of direct costs. Approximately $210 million or 9% of direct cancer costs were spent on drugs for cancer treatment. The indirect cost was $11.8 billion. 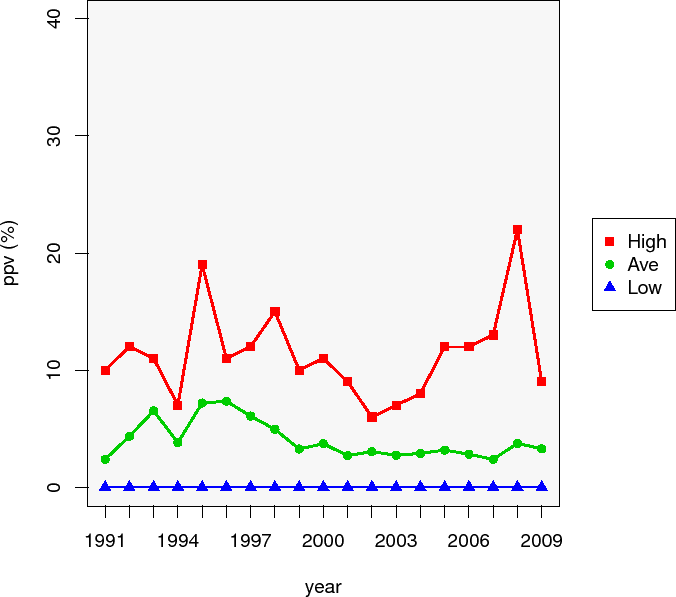 Economic Burden of Illness in Canada, Health Canada 2002. Although the figures above represent costs for all cancers and for all Canadian provinces, the core biopsy program in Nova Scotia has made positive impacts on reducing wait times, hospital stays and physician services. It has made a huge impact in greatly decreasing benign breast surgeries. The Pink Rose Project instituted the provision of ``Information Packages'' to newly diagnosed women at the time of imparting the diagnosis. Started and managed by a volunteer breast cancer survivor under the umbrella of NSBSP, this initiative has been adapted and introduced into most other provincial programs. Begun as a service provided by one hospital, the packages are now funded by the Canadian Breast Cancer Foundation - Atlantic Chapter, and distributed by pathology departments, NSBSP coordinators, Cancer Care personal as well as active survivors throughout the province. With the development of NSBSP in 1991, physician assisted referral for all abnormal screens to the diagnostic work-up sites was instituted. The physician was always the first point of contact by phone, and with their approval the program would (also by phone) contact the patient with the date, time, place and nature of the work-up test or core biopsy. For even greater efficiency, the phone contact has been replaced with a faxed appointment process. As in all screening programs, results were also mailed to both the women and the physician. This fast tracking resulted in decreased times to diagnoses and overwhelming acceptance of the process. In 1997, requests from the medical community to also navigate women with abnormal reports in the diagnostic sector resulted in a full time navigation position. In addition, through personal contact with physicians and women, the navigator has promoted a heightened awareness of the clinical practice guidelines for mammography. This single NSBSP diagnostic-based navigator position has been closely tied to the largest diagnostic work-up site and is supported by the Pink Rose Project. The NSBSP Navigator is a resource for women using diagnostic and screening facilities in the entire province, whether affiliated with NSBSP or not. Patient Navigation: Improving Timeliness in the Diagnosis of Breast Abnormalities was published in June 2004 in the Canadian Association of Radiologists Journal (CARJ Vol.55, No. 3, June 2004). This publication documents the potential to decrease waiting times related to the facilitated investigation of breast abnormalities. Other provincial breast screening programs have incorporated a similar approach for fast-tracking women to diagnosis. Influence of direct referrals on time to diagnosis after an abnormal breast screening result. Kathleen M. Decker MHSA et al: Cancer Detection and Prevention 28 (2004) 361-367. Manitoba Breast Screening Program, Winnipeg, Manitoba. All results from the smaller diagnostic work-up sites are monitored by the NSBSP Image and Data Manager pending a status of case ``completion''. In January 2006, with funding from a Canadian Breast Cancer Foundation - Atlantic Chapter's Community Health Grant, a project was initiated with the aim to identify, assemble, classify and review the interval breast cancers diagnosed from NSBSP clients. A blitz enabled this work to be completed for the years 1991-2003 and thirty-five data charts were compiled, some results of which will be used for publication in an inter-disciplinary paper presently being written for publication by Imaging, Pathology and Oncology Departments at the QEII Health Sciences Center in collaboration with Dalhousie University. Five NSBSP interpretation sites contributed cases for this review which resulted in 96% of all known interval cancers being reviewed in an organized fashion by a minimum of three radiologists. In addition, breast cancer pathology TNM coding was reviewed by pathology staff for accuracy and to provide feedback to the program. Data from the National Cancer Registry is also expected to contribute. Following the review of films, a file of unique cases was compiled and has been made available for review by of the radiologists as a web based learning file. A summary table of work completed up to the end of 2003 is included. The process is now ongoing. The true value of screening can only be understood if a screening program is able to follow its participants for all diagnosed cancers, including those not found through screening. The NSBSP is very unusual in being able to capture these data on all of its participants. The results of this review were recently presented at the Annual Meeting of the Radiological Society of North America (RSNA) in Chicago and the results of this review are currently being summarized for publication in the RSNA scientific journal. 1 Diagnosis is made by three Radiologists, with the coding as follows: 1:3 normal diagnoses. 2:2 normal, 1 abnormal. 3:3 abnormal. 4: 1 normal, 2 abnormal. The review of the post-screen cancers has led to an exciting research project led by Dr. Danny Rayson, a medical oncologist at the Cancer Clinic in Halifax. The research project team is the result of a new collaboration between Dr. Jennifer Payne, Prof. Mohamed Abdolell, Dr. Penny Barnes (pathologist), Dr. Rebecca McIntosh (pathologist), Dr. Tallal Younis (medical oncologist), Dr. Judy Caines, and Ms. Theresa Foley. The project involves understanding the differences between interval cancers and screen-detected cancers and was funded by the Capital Health Research Fund. It is believed that interval cancers are more aggressive in nature (i.e., more aggressive pathology) but it is hard to show this because of a lack of follow-up data of women who have been screened. The preliminary comparison of pathology characteristics between the two groups did in fact reveal that interval cancers were more aggressive in nature than screen-detected cancers. Early results of this were presented at the Annual Meeting of the American Society of Clinical Oncology last year. This past year, the project was expanded to include a comparison of the clinical outcomes of women with interval cancers vs screen-detected cancers. With the help of a 2nd year medical student, Ms. Ariel Burns, who was funded by a Norah Stephens award, the charts of these women were reviewed at both the Halifax and Sydney cancer clinics. Ms. Burns was able to find any missing pathology data as well as collect information on breast cancer recurrence. Ms. Burns presented the completed pathology analysis at the Dalhousie Cancer Research Symposium and received an honourable mention for her poster. The analysis of the differences in clinical outcomes between the interval and screen-detected cancers is now underway with plans to submit this work in January for consideration at the upcoming Annual Meeting of the American Society of Clinical Oncology in May. At the same time, work is beginning on summarizing this work for submission to a leading medical scientific journal for publication. The NSBSP is an unusual screening program because it has incorporated the use of needle core biopsy (NCB) into its clinical practice guidelines. The use of NCB has been shown to reduce the rate of benign surgery in women. Dr. Heather Curtis, a 4th year radiology resident working on her residency research project under the guidance of Dr. Jennifer Payne and Dr. Judy Caines, conducted a review of NCB rates within the NSBSP from 1991 through to 2006. This timeframe is extremely critical in that it precedes the introduction of FFDM. The review consisted of summarizing both the rates of NCB as well as the surgery rates within the program as a whole, as well as within each program site, over time. Finally, a similar summary was compiled for the benign:malignant ratio for both NCB and surgery, the latter one being a measure to assist in minimizing the surgery rate for benign (i.e., non-cancerous) growths. What Dr. Heather Curtis found was again a confirmation that the use of NCB is associated with a decrease in the number of benign surgeries. The comparison of figures over time across the sites revealed that although sites might have differed when NCB was first introduced, the variation in rates has been greatly reduced over time. Dr. Curtis presented these results at the Annual Dalhousie Radiology Research Day. This analysis will help the NSBSP set provincial targets for these performance indicators to help ensure that women across the province receive the same high quality care, regardless at which sites they receive their care. This analysis also serves as an important benchmark for comparison once FFDM has been implemented throughout the province. Over the last few years, the NSBSP has worked with the Public Health Agency of Canada as well as two students at the Centre for Geographic Sciences (NSCC) to explore the use of Geographic Information Systems (GIS) in understanding use of breast screening services by women across NS as well as to understand how services are being delivered. The province-wide transition to Full-Field Digital Mammography (FFDM) was completed in May 2010 for all 11 fixed sites and 1 mobile unit and Nova Scotia also remains the only province to encompass all screening in the province under the umbrella of an organized program. It is within this context that a historical analysis of the use of services in the 5 years preceding the beginning of the FFDM implementation was undertaken. It was then natural that GIS be used as part of this analysis. Ms. Stephanie Lea, an x-ray technologist by background, analysed these data to form her thesis work in the Master's of Applied Health Services Research at Dalhousie University. She examined trends in participation and retention by District Health Authority (DHA) and over time. She also analysed where women accessed screening services in relation to where they lived. The final piece was to analyse how DHAs vary in their screening service delivery, including variations in capacity as well as the use of mobile versus fixed site service provision. Participation results varied over time and place but were hard to interpret because of the addition of fixed sites over time. Retention results revealed an overall reduction over time and a greater range across DHAs over time, believed to be due in large part to increasing wait times that made it difficult for women to return to screening in the appropriate time interval. 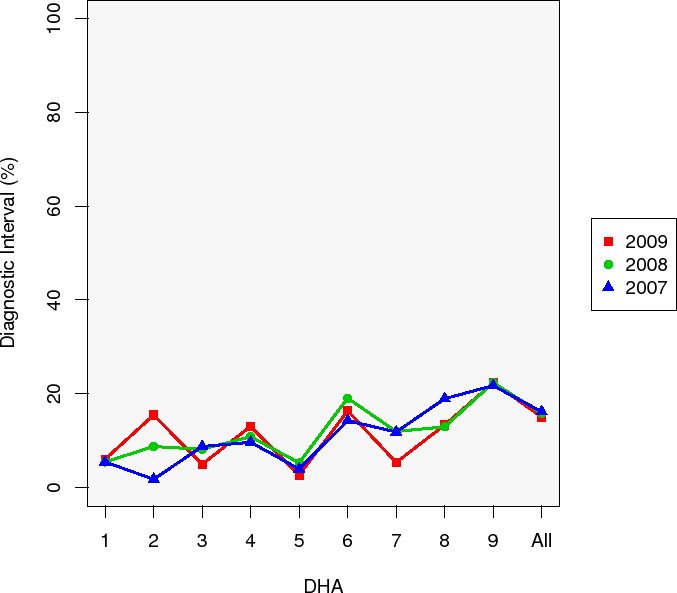 Interestingly, one of the features of Central Booking is that women are free to choose where to have their screening exam performed, but these analyses revealed that most women choose to be screened in their home DHA. 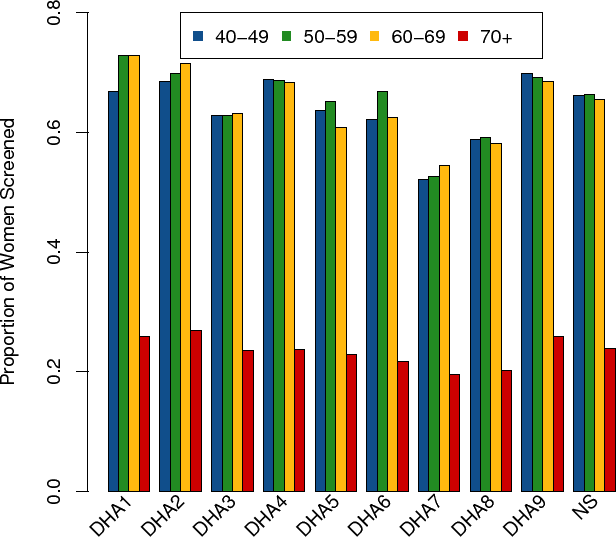 The number of screens performed each year has been increasing across the province as a whole and in most DHAs but the number of screens performed for women aged 50-69 as a function of the number of women that age resident in that DHA (i.e., screens per capita) varied substantially over time within DHA and across DHA (Figure 11.1 contains most recent data for women aged 40+). Similarly there was wide variation in the provision of services through fixed vs mobile site over time within DHA and across DHA. This analysis has helped provide a solid foundation for comparison with the post-FFDM data and has produced a new way of thinking about how to analyse service provision across the DHAs, a methodology which over time will be incorporated into the NSBSP Annual Report. Breast screening in NS began as 1 fixed site and 3 mobiles; currently there are 11 fixed sites across the province and three mobile units. Mobile breast screening must be coordinated across Nova Scotia to compliment the services delivered at the eleven fixed sites. It is with the intent to reach populations distanced from the fixed sites that mobile breast screening operates. In 2009, 62% of all mobile screens were performed within a 30km radius of at least one fixed site. The objective of this initiative is to examine current mobile scheduling for the purposes of optimizing time and resources to better serve areas in the province lacking access to breast screening. Specifically, this initiative will examine current routes and booking utilization. All three mobile units currently follow routes that to some degree lack sequential scheduling of adjacent communities. Recently the province of NS has completed a rollout of full field digital mammography units to all eleven of the fixed sites across the province. The provision of digital mammography provides an opportunity to increase screening capacity at all fixed sites. This increased capacity at fixed sites gives rise to the opportunity to restructure mobile screening in order to provide the best service possible to those distanced from fixed sites. Currently there are two film-based mobile units and one digital mobile. The NSBSP together with the DOH has proposed to move to a single, digital mobile screening unit for the entire province. In moving to a single, digital mobile unit, every women in Nova Scotia will be guaranteed to have her mammogram performed digitally; whether in Halifax or Canso. Access to digital mammography for all women balances the standard of care being provided in Nova Scotia. Research has also demonstrated that digital mammography decreases radiation exposure compared to film-based mammography. Mobile stops in close proximity to fixed sites will no longer provide this duplication of service. The mobile will be focused on providing service to areas that cannot easily access fixed site service. Increased capacity at fixed sites will absorb the mobile screens that used to occur in close proximity to the 11 fixed sites. Using a single, digital mobile unit for the entire province will also make mobile screening more cost-effective. Traveling distances will be greatly reduced and mobile utilization will be maximized. The process of transitioning from three mobiles to one is not a simple task. An assembled team from the NSBSP, the Department of Health, and from the DHA's that coordinate the mobiles has already been working on this transition for several months. This group is working to ensure this transition occurs as smoothly as possible. Look for more information on this initiative to become available the first half of 2011. As mentioned earlier, the transition to FFDM was completed in May 2010. Exploratory work has been underway to understand what this transition means for the women of Nova Scotia in terms of quality of care. In Canada, the performance of breast screening programs is measured through a series of standardized performance indicators, each with its own target. Programs can use these measures to monitor their progress over time and as well as against the country as a whole. These measures have now been evaluated for the one year period prior to the FFDM transition (analog) against the first 12 months of digital mammography, allowing for a 4-month transition period. These preliminary results revealed that digital mammography appears to outperform analog mammography for women aged 40-49 years, and to a lesser extent this is also true for women aged 50-59 years. It must be noted that these data are preliminary in that not all NSBSP sites are at this point in time able to contribute 12 months of data given that some did not transition until spring of this year. It must also be noted that radiologists review screening mammograms in relation to earlier mammograms and that in this specific instance, the earlier ones were analog. Therefore the `final' analysis of the FFDM transition will not be complete until radiologists are able to review digital mammograms in relation to at least one prior digital set of mammograms. As most women in the target age range of 50-69 years are screened only once every two years, it will be a while before we can truly understand the impact of FFDM on quality of care. Prof. Mohamed Abdolell, with collaborators Dr. Peter Gregson, Dr. Gerry Schaller, Dr. Jennifer Payne and Dr. Judy Caines, have obtained co-funding from Capital Health Research Fund, the Department of Diagnostic Imaging, and Canadian Breast Cancer Foundation - Atlantic Region Community Health Grant for the project, "Developing empirically based BI-RADS scales using breast density measurements from full-field digital mammograms". Breast density has been associated with an increased risk of breast cancer, and is currently used by the Nova Scotia Breast Screening Program to adjust screening intervals for high-risk women (e.g., annual recall rather than biennial for women with very dense tissue). Current clinically accepted measures of breast density are based on Film Screen Mammography (FSM), and have either been determined by radiologist visual assessments or an operator dependant computer-aided mathematical assessment (algorithmic). The NSBSP will be exclusively using full-field digital mammography (FFDM) by the end of 2009, and yet no accepted standard for measuring breast density in FFDM exists. The aim of this project is to develop a fully automated algorithm to measure mammographic density based on FFDM that can be incorporated into the existing NSBSP data holdings. Preliminary results are promising and confirm a very good level of agreement between the new algorithm and the radiologist assessments of mammographic density; further efforts will be made to improve on the level of agreement. With sufficient followup, clinical outcomes will enable the use of this valid breast density measure to develop a statistical model that relates breast density to cancer risk. Such a model will be an additional tool to aid radiologists in deciding on scheduling of followup screening. In 2008, Dr. Jennifer Payne received a one-year community grant from the Canadian Breast Cancer Foundation - Atlantic Region to develop a surveillance framework for the NSBSP. Although the NSBSP reports on a series of nationally agreed upon performance indicators, the NSBSP data holdings are much broader than those of many other provinces and therefore lend themselves to calculations of other indicators, including those both in the area of quality of care as well as service provision. Although the formal grant has been completed, the framework is now being used to review other possible indicators, such as those now developed in the area of wait times (see 11.5), and those produced out of the work in health services utilization (see 11.1) and how these indicators can be used both internally by the NSBSP and externally by stakeholders and to the public at large. In addition, the NSBSP is working on various ways of presenting indicators to stakeholders - as the calculations become complex, it's important to present information to stakeholders in a format that is useful and meaningful for them. As these forms of reporting are developed, the NSBSP will be consulting with its stakeholders on ways to expand and strengthen reporting of breast screening performance in Nova Scotia. As part of a province-wide initiative within the NS Department of Health, NSBSP has been revising its measurement of wait times and has now joined other areas of diagnostic imaging in moving towards web-based reporting of these new measures. In the past, wait times were defined as the wait until the next day with 3 available appointments for a given procedure or test. The new definitions are now those being adopted by other provinces as part of a national initiative and involve measuring wait times backwards in time for all exams held in a given time period - these new measures will now accurately reflect how long people have waited to have procedures performed. Currently NSBSP reports on the wait time for women calling in to book their first screen - there are two numbers reported: the number of days by which 50% of women were screened (median), and the number of days by which 90% (Figure 11.3) were screened (90th percentile). It should be noted that the wait time for women calling to book a re-screen is controlled by the NSBSP through one or two year recalls depending on their risk category. Therefore these re-screened women are not included in the wait time calculation. The detail within the NSBSP database makes it very easy for these numbers to be calculated and the results are sent electronically to the Department of Health every quarter. The NSBSP has used the same approach in calculating wait times for work-ups of women with an abnormal screen using the same indicators; the number of days by which 50% of women were screened (median), and the number of days by which 90% (Figure 11.4) were screened (90th percentile). The NSBSP is currently exploring how these indicators can be used to measure the wait times for symptomatic women waiting for diagnostic follow-up. For more information on the provincial wait times initiative, please consult the government website (www.gov.ns.ca/health/waittimes). The NSBSP currently has one website that provides information to patients, health care providers, policy makers, and anyone interested in breast screening in Nova Scotia. It is with this consideration in mind that the NSBSP has begun to develop a new website specifically for current and potential patients. Information on this patient-focused website will be presented in an easy to follow, intuitive layout. Topics will include but are not limited to: screening mammography, diagnostic mammography, core biopsies, what to expect appointment day, locations and contact information. In preparation for designing this patient-focused website, the NSBSP developed a questionnaire and distributed it to the 11 fixed sites. After one month a total of 390 completed questionnaires were received. Results found that 14% of respondents have used the Internet to search for breast health/mammography information. This number jumps to 27% at our diagnostic-only site in Halifax. This isn't surprising as screening occurs with asymptomatic women, whereas women booked for diagnostic mammography may have symptoms or issues that cause them to actively search for answers. Of the 14% of respondents who used the Internet to search for breast health information, 30% visited NSBSP's current website. Many cited that they didn't know it existed and/or it didn't come up during their searching. Search Engine Optimization (SEO) will help improve search ranking for the patient-focused website. The NSBSP is poised to be a trusted source of breast health information based on respondents ranking of trustworthiness based on source. The following sources of information are ranked from most trustworthy to least trustworthy based on respondent ranking: Non-governmental Organization, Government, News Media, Personal websites. A working group from the NSBSP has been put together to develop and acquire the content for the website. The technical development of the website itself will be done in-house saving the NSBSP a considerable amount of money in the process. The site will be hosted on NSHealth.ca server space. Look for more information on this initiative to become available the first half of 2011. 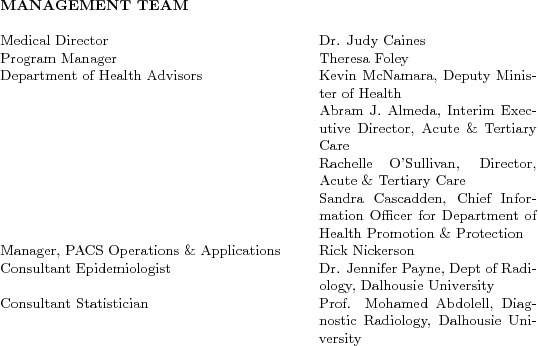 Prof. Mohamed Abdolell, with collaborators Dr. Jennifer Payne and Dr. Judy Caines, completed a Canadian Breast Cancer Foundation - Atlantic Chapter Community Health Grant funded project, "Automation of the NSBSP Annual Report: a first step toward developing a surveillance system". The primary goal of this project was to fully automate the process of generating the NSBSP Annual Report. In the past, the report has taken up to twelve months to generate manually and has been a major burden on the resources of the NSBSP. Through automation of the process, the report is now generated in 2 hours. The current 2007 NSBSP annual report has been generated using this system. The natural consequence of developing such a system is that it can be extended to become a fully automated surveillance system that is flexible, customizable, timely, accurate, reproducible, on-demand, and low-cost. The feasibility of applying Statistical Process Control methods in the proposed surveillance system has been evaluated and it has been determined that automatic flagging of emerging trends in the NSBSP to enable proactive intervention in the system to optimize resource allocation and improve access to screening for women in Nova Scotia is achievable. The process of replacing the mammography units with digital technology in the province started in 2007. One benefit of this strategy has been a reduction of about 37% in the radiation levels which our clients receive. In a recent study performed by Drs. Eva Barkova and Cupido Daniels, the radiation levels for average breast sizes and tissue composition, which clients received in 2006 (pre-digital era) were compared to that of 2008-2009 during which 9 digital units have already been deployed. The radiation levels for digital units are much lower (by 37%) than that of non-digital units. The radiation levels for digital units are very consistent from site to site. As of Jan 2008 the NSBSP began offering reminder calls to all districts of the province that were booking mammography, both screening and diagnostic, through Central Booking. This service is being provided by Voice Services through the Capital Health and has proven to be very successful. What began as a semi automated process has been upgraded in 2009 to a completely automated system. No shows have been virtually eliminated at all sites; a graph showing the effect of this service on one district is included. To address site concerns about the possible deletion of the NSBSP system generated question re: pap tests, and following collaboration with Cervical Cancer Prevention Program management, the question will remain. It serves as an important reminder to women, and is one of the top reasons women give when asked ``why'' they are booking their pap tests. Since 1992, a reminder notice to remember to book a pap test has also been included on the screening reminder notifications. It is included as well on the ``wallet sized'' NSBSP promotional cards. Within three years of becoming sexually active or when you reach the age of 21. If your Pap test results are normal (negative or clear) three years in a row, continue to have Pap tests every two years until age 75. You should continue to have Pap tests even if you are no longer sexually active, or if you no longer have periods (menopause). If you are over 75, talk with your doctor about your need for further testing. If you have had a hysterectomy (removal of your uterus) you may still need a regular Pap test. A woman whose cervix is not completely removed, or a woman who has had treatment for pre-cancer or cancer of the cervix, should continue to have yearly Pap tests after a hysterectomy. If you have questions about your need for a Pap test, talk to your doctor. 2007 35,000 Access to Breast Screening Services in Nova Scotia. Part of the mandate for the NSBSP is to provide cost effective breast screening for Nova Scotian women. To ensure cost effectiveness of the program is maintained, several indicators are used to analyze each site within the program and the overall provincial average. These indicators include cost per screen, direct service cost per screen, total operating cost per screen, direct service cost per cancer and total operating cost per cancer. 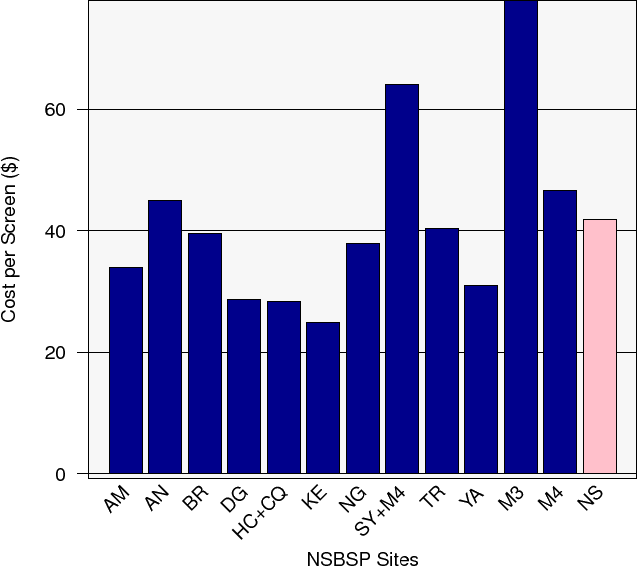 The cost per screen of NSBSP sites (Figure 12.1) is calculated by dividing the total screening budget of a site by the number of screens performed in that fiscal year. Total screening budgets consist of employee compensations and operating expenses. For sites performing both diagnostic and screening mammography, a ``50% Rule'' has been adopted whereby the total mammography budget is divided by two. Currently the fixed site in Sydney performs next to no screening mammography. The majority of screening mammography in Sydney is performed on Mobile4. For this reason the mammographic screens and screening budgets of Sydney and Mobile4 have been combined. 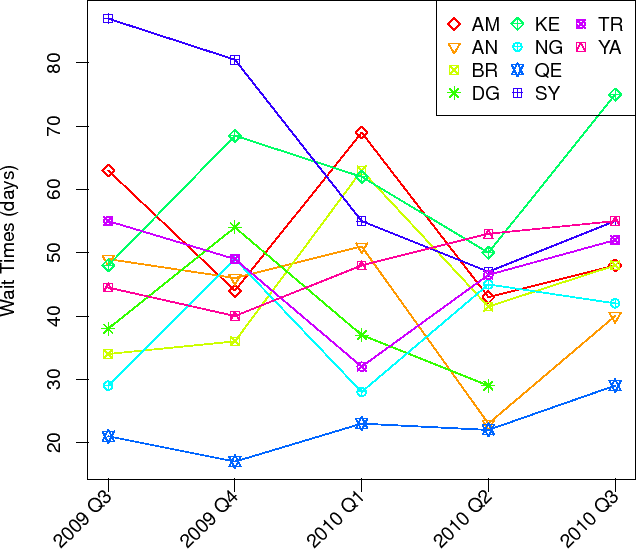 The direct service cost per screen (Table 12.1)(Figure 12.2) is a time trend comparison of the provincial cost per screen. 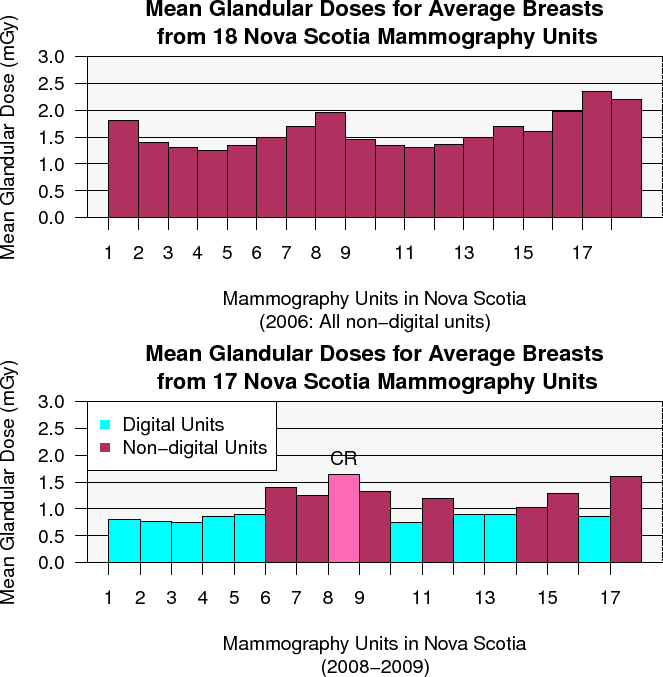 It is calculated by dividing the sum of all mammography screens in Nova Scotia by the sum of all screening budgets of NSBSP sites. Historically if a site did not report its budget, its associated mammography screens were removed from the provincial calculation. In Table 12.1, the direct service costs, program administrative costs, and total operating costs have been derived from total screens, direct service cost/screen, and total operating cost/screen for fiscal years 1999/00 through 2005/06. NSBSP site budgets are not available for fiscal year 2006/07. The total operating cost per screen (Table 12.1)(Figure 12.3) is a variance of the time trend comparison of the provincial average cost per screen. It is calculated by dividing the sum of all mammography screens in Nova Scotia by the sum of all screening budgets of NSBSP sites plus the administrative costs associated with running the NSBSP. Historically if a site did not report its budget, its associated mammography screens were removed from the provincial calculation. The direct service cost per cancer (Table 12.1)(Figure 12.4) is a time trend comparison of the provincial cost per screen-detected cancer. It is calculated by dividing the number of cancers in Nova Scotia by the sum of all screening budgets of NSBSP sites. Historically if a site did not report its budget, its associated mammography screens were removed from the provincial calculation. 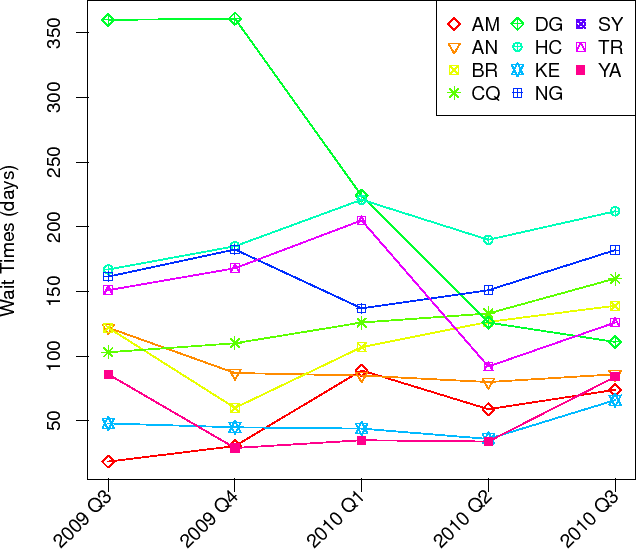 The total operating cost per cancer (Table 12.1)(Figure 12.5) is a variance of the time trend comparison of the provincial cost per screen-detected cancer. It is calculated by dividing the number of cancers in Nova Scotia by the sum of all screening budgets of NSBSP sites plus the administrative costs associated with running the NSBSP. Historically if a site did not report its budget, its associated mammography screens were removed from the provincial calculation. Rayson D, Payne JI, Abdolell M, Barnes P, McIntosh R, Foley T, Younis T, Burns A, Caines JS. Clinical-Pathologic Characteristics and Outcomes of True Interval and Screen-Detected Invasive Breast Cancer Among Participants of a Canadian Breast Screening Program: A Nested Case-Control Study. Clinical Breast Cancer, accepted. Payne J, Schaller G, Caines J, Erdogan M. Evaluating Change in Canadian Breast Screening Performance Indicators Following the Implementation of Full Field Digital Mammography in Nova Scotia, Canada. Annual Conference of the American Roentgen Ray Society. Chicago, May 1-6, 2011 (submitted). Abdolell M, Caines J, Gregson P, Payne J, Schaller G. Developing BIRADS Classification Based on an Automated Mammographic Density Measurement Algorithm. Beatrice Hunter Cancer Research Institute Annual Symposium. Halifax, Nov 8-9, 2010 (submitted). Daniels C, Payne J. Mammography Then and Now. Annual Congress of the South African Association of Physicists in Medicine and Biology. Stellenbosch, South Africa, Sep 15-17, 2010. 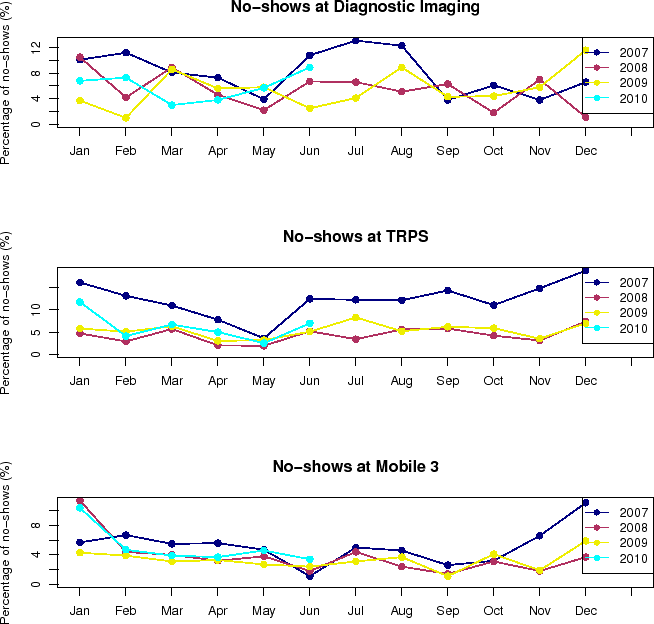 Payne J, Schaller G, Caines J, Lea S. Evaluating Change in National Breast Screening Performance Indicators Following the Implementation of Full Field Digital Mammography (FFDM). Annual Meeting of the Canadian Public Health Association Conference. Toronto, Jun 13 - 16, 2010. Lea S, Payne J, Caines J, Schaller G, Iles S. Describing Service Provision of the Nova Scotia Breast Screening Program (NSBSP) to Nova Scotia Women Aged 50 to 69 years from 2002-2006: Final Results. Annual Meeting of the Canadian Public Health Association Conference. Toronto, Jun 13 - 16, 2010. Payne J, Schaller G, Caines J, Lea S. Evaluating Change in National Breast Screening Performance Indicators Following the Implementation of Full Field Digital Mammography (FFDM). Oral Presentation at the Annual Meeting of the Canadian Agency for Drugs and Technologies in Health. Halifax, April 18-20, 2010. Rayson D, Payne JI, Barnes PJ, MacIntosh RF, Burns AM, Abdolell M, Foley T, Younis T, Caines JS. Clinical-pathologic characteristics of true interval and screen-detected breast cancer among participants in a Canadian breast screening program: A nested case-control study. Poster Presentation at the Annual Meeting of the College of American Pathologists. Washington, October 11-14, 2009. Abdolell M, Payne JI, Caines JS, Lou W, Stewart S*. An open-source model for automated public health surveillance systems: the case of the Nova Scotia Breast Screening Program (NSBSP). Poster Presentation at the Annual Meeting of the Canadian Public Health Association Conference. Halifax, Jun 1 - 4, 2008. Lea S*, Payne JI, Caines JS, Schaller GH, Iles SE. Access to Breast Cancer Screening in Nova Scotia. Oral Presentation at the Annual Meeting of the Canadian Public Health Association Conference. Halifax, Jun 1 - 4, 2008. Rayson D*, Payne JI, Barnes PJ, MacIntosh R, Abdolell M, Foley T, Younis T, Caines JS. Clinical-pathologic characteristics of true interval and screen-detected breast cancer among participants in a Canadian breast screening program: A nested case-control study. Poster Presentation at the Annual Meeting of the American Society of Clinical Oncology. Chicago, May 30 -Jun 3, 2008. Poster Presentation: The Nova Scotia Breast Screening Program and Core Biopsy: 15 Years of Follow-up: Caines, JS, Payne, JI, Iles SE, Schaller GH, Woods ER, Barnes, PJ, MacIntosh RF (accepted). Poster Presentation: Managing and Taming Wait Times and Participation Rates in a Small Population and Large Geographical Environment. Schaller GH, Payne, JI, Caines, JS (accepted). Payne JI. Using GIS for Chronic Disease Surveillance and Program Evaluation: the case of the Nova Scotia Breast Screening Program. Presentation to the GIS Infrastructure of the Office of Public Health Practice, Public Health Agency of Canada. Ottawa, May 30, 2008. Abdolell M, Payne JI. Automation of the Nova Scotia Breast Screening Program Annual Report. Presentation to the NS Department of Health Provincial Programs. Halifax, Feb 20, 2008. The Nova Scotia Breast Screening Program (NSBSP), a program of the Department of Health, was formed with the mandate to establish a breast screening program in Nova Scotia. In 2005 the provincial review of all mammography units was completed and a decision was made to move to digital mammography equipment for both fixed and mobile sites throughout the province; a vendor for the equipment was selected in Fall 2005. The Move to Digital Mammography project will plan for and implement full field digital mammography across Nova Scotia over the next 5-7 years. The Provincial Mammography Equipment Committee has served as an advisory committee to the provincial review, procurement and planning projects. It will continue in the role as the implementation of digital mammography progresses in the province. Responsible for overall planning for Digital Mammography in the province. Responsible for provincial policies and standards for Digital Mammography. Approve and monitor implementation projects for Digital Mammography across the province. Developing a framework for staged implementation of digital mammography equipment based on the mammography review. Identifying key issues & gaps in moving to digital mammography and address these. The scoping, roadmap and initial cost estimate have been completed in July, 2006. Detailed implementation planning will be completed by May, 2007. The pilot is estimated to be competed over 6 months. Implementation will be staged with an estimated time for full rollout at 5-7 years. The committee will be operational in preparation for, during, and in follow-up of implementation of digital mammography equipment. The committee is accountable to and reports directly to the Executive Director, Acute & Tertiary Care. The committee may forward reports to other individuals / groups as deemed appropriate, for review and feedback. Meetings will take place approximately once per month or more/less frequently if required or at the call of the chair(s). Minutes will be taken during meetings. Minutes will record attendance, areas of concerns, decisions, action items and progress. Minutes will be circulated to committee members, including corresponding members. The CEOs of all districts will be kept informed of the stages involved in the mammography equipment replacement. The Canadian Association of Radiologists (CAR), National Standards and Guidelines for Breast Screening recommend mammography screening for asymptomatic women at least 40 years of age. Women aged 50-69 should have mammography screening at two year intervals unless they have a strong family history of breast cancer (mother, sister, daughter, father, brother, son), are currently on HRT or the radiologist has recommended to return sooner. Provincial/national guidelines recommended are evidence-based. Women over the age of 70 should have screening mammography at two year intervals if they are in good health. As an initial test on women under the age of 30 if there is a palpable abnormality. If requested by the radiologist from a previous mammogram, 6 month mammogram or ultrasound procedures should be booked by the family physician. Following these short term follow-up requests, a return to routine screening is usual. Treatment following a core biopsy with a histological diagnosis of "atypical ductal hyperplasia" is recommended to be similar to any borderline lesion. This should involve a surgical consult and probable excisional biopsy.